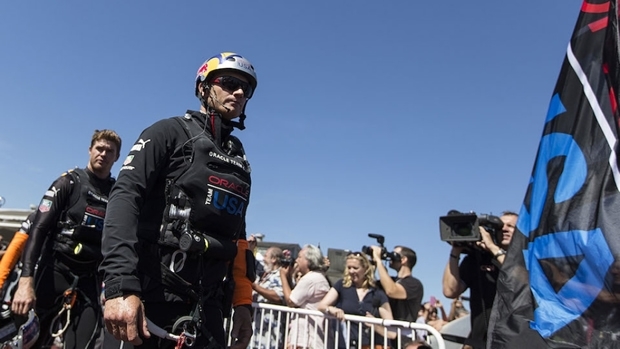 Skipper Jimmy Spithill and tactician/sailing team manager Tom Slingsby have introduced the crew who are participating in the team’s first training camp of the new America’s Cup cycle. In addition to Spithill and Slingsby, Oracle Team USA opens training camp in Sydney, Australia this week with sailors Andrew Campbell, Kinley Fowler, Rome Kirby, Kyle Langford, Joey Newton, and Joe Spooner. Philippe Presti will be returning to the team as coach. The sailing team is scheduled to be on the water from Friday, 7 March until Sunday 16 March. On Thursday, the team participated in a sparring session on Sydney Harbour in AC45 catamarans with Team Australia, which launched its program with a ceremony earlier in the day. Other practice sessions are anticipated with Team Australia, the Challenger of Record for the 35th America’s Cup, which is also training in Sydney over the same time period.